Plans for a new council headquarters have been formally submitted by Durham County Council (DCC). The council wants to move from Aykley Heads to a new building at The Sands Car Park in Durham city centre, as previously reported. This month, the authority submitted formal plans for the five-storey building next to the new passport office in Freeman’s Place. If approved, the building would house 1,000 staff and boast several new facilities such as a council chamber, committee rooms, office space for councillors/staff, a cafe and a public reception area. Up to 60 parking spaces will be also provided on site while plans for a multi-storey car park on nearby land, next to Durham Sixth Form, with up to 277 spaces, have also been submitted. However, the HQ plans have already attracted 25 objections from members of the public about the proposed location, scale and design of the building. 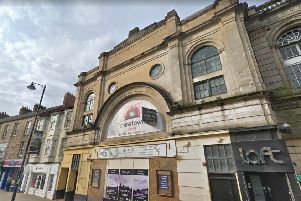 Concerns include the building’s impact on the nearby Durham World Heritage Site and setting in a conservation area alongside pollution, traffic and congestion fears. While over 100 documents have been submitted to DCC linked to the plans, a central planning statement sets out details of the development. This includes a plan to minimise the impact of HGVs and limit noise and air quality during the building phase. Plans also aim to minimise impact on the natural environment, prevent flooding and abide by emerging policies in the new DCC local plan. A report states the construction phase is expected to create around 65-70 full-time equivalent jobs on site and within the supply chain. A decision on the application is expected to be made by Thursday, November 29 this year.